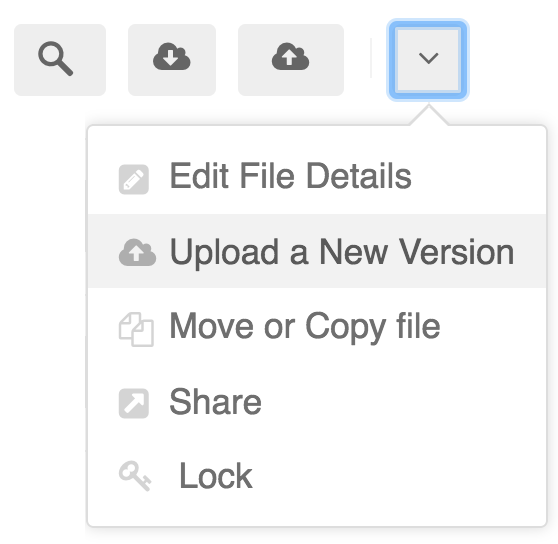 Within Teamwork Projects, you can upload new versions of files already on your projects. Note: Versioning is only available for files uploaded directly to your projects, not for files linked in from integrated file storage accounts such as Dropbox or Google Drive. In the Files area of your project, you will see a cloud icon with an up arrow to the right of each file, to upload a new version. You can also click the options dropdown, and select Upload a New Version from there. The upload screen is the same as the usual file upload screen, except there are no privacy options - the privacy will be taken from the original version of the file. You can notify people on the project of the new version of the file. 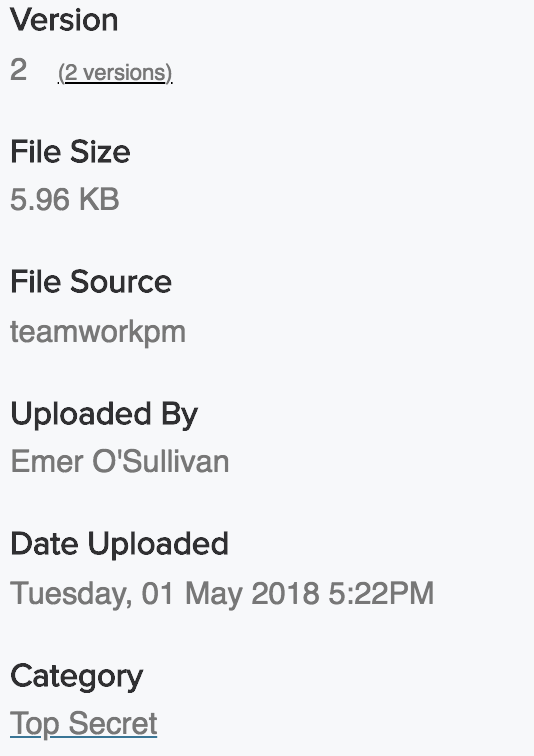 Once you have uploaded a new version of a file, you will see the Versions button to the right of the file in the files list. When you click the versions button, you will see a list of all existing versions. You can click the link to any of the previous versions to view, download, move or copy, delete, share or comment on it directly. In the file details screen, you will see the option to view the previous versions of the file in the panel on the left. Note: Any comments made on a previous version of a file will be visible when viewing that version - they are not attached to the new version of the file, so that there's no confusion about which version your team member commented on at the time.